All ready to go snorkeling! 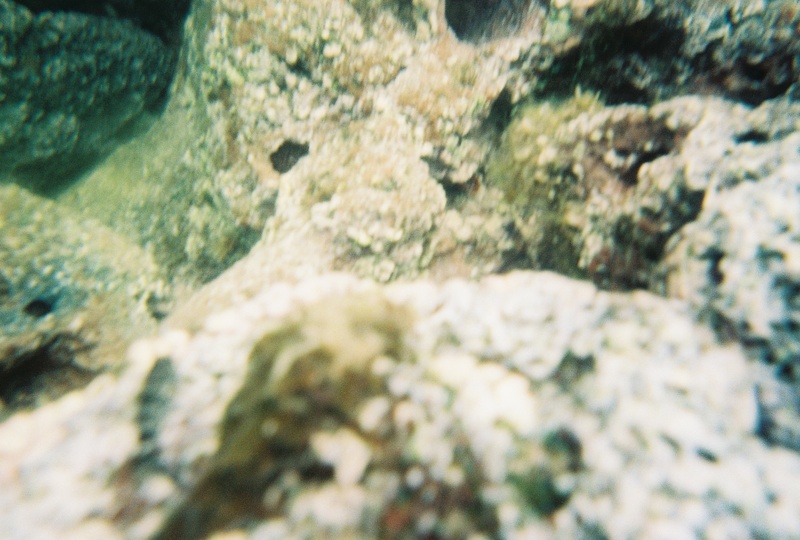 For the first time anywhere, I tried snorkeling in Hawaii. And it was a failure of epic proportions. I knew I couldn’t swim, but I thought at least I could manage sticking my head under water. 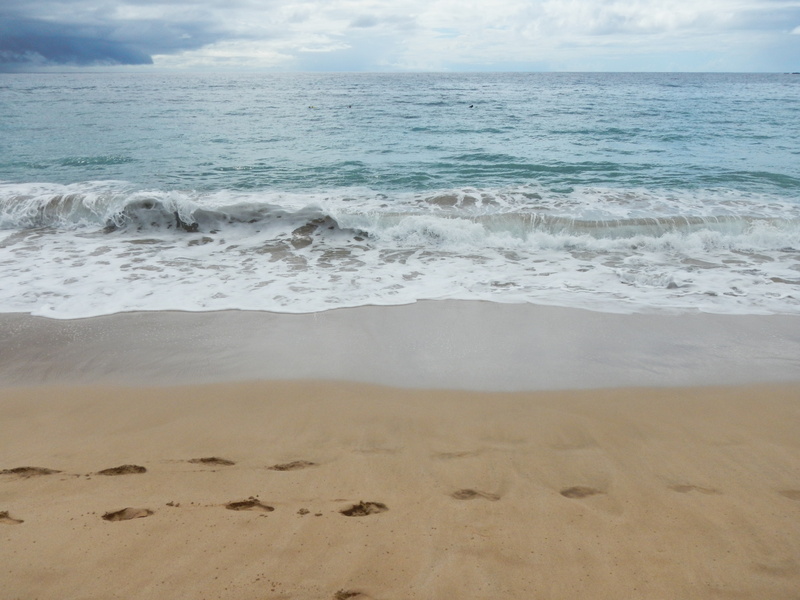 But as soon as the first wave came crashing into Lanai’s Hulopo’e Beach and I was swept off my feet, swallowing a good bit of saltwater in the process, I knew I had enough. But that doesn’t mean, as oddly as it may sound, that it wasn’t fun. Years and years ago in my youth, I took swim lessons like every other kid. Unlike the others, though, my mother screwed up and stuck me in a class with kids half my age. So instead of jumping off the diving board I was playing Ring Around the Rosie. And at about my fifth time falling down with everyone else, I had enough and ended my swimming career. 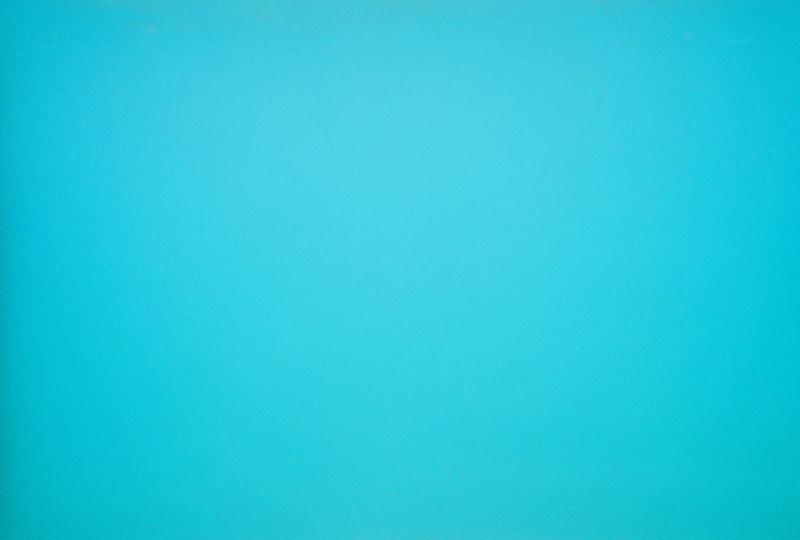 Flash forward now nearly 30 years and imagine me wading out into the world’s biggest swimming pool – the Pacific Ocean. 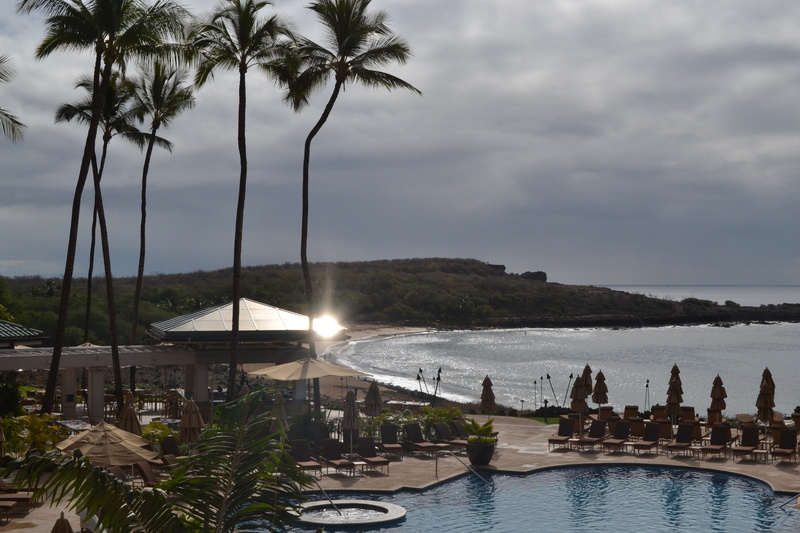 Even though I knew I couldn’t swim I felt like a fool not to try snorkeling, since gear was complimentary for guests staying at the Four Seasons Resort Lanai at Manele Bay. All I had to do was go down to the beach, given them my shoe size, and walk off with all of the gear. The rest was up to me. I strapped it all on. Waded out into the water. And stood there looking around like an idiot with a snorkel mask strapped to his head. Despite that, I felt pretty good. The water was calm, I had an underwater camera, and the desire to at least stick my head into the ocean and look for some fish. Just at about that time, while looking back at the beach, a wave came crashing in and swept me off my feet. No problem, though. It’s all good. 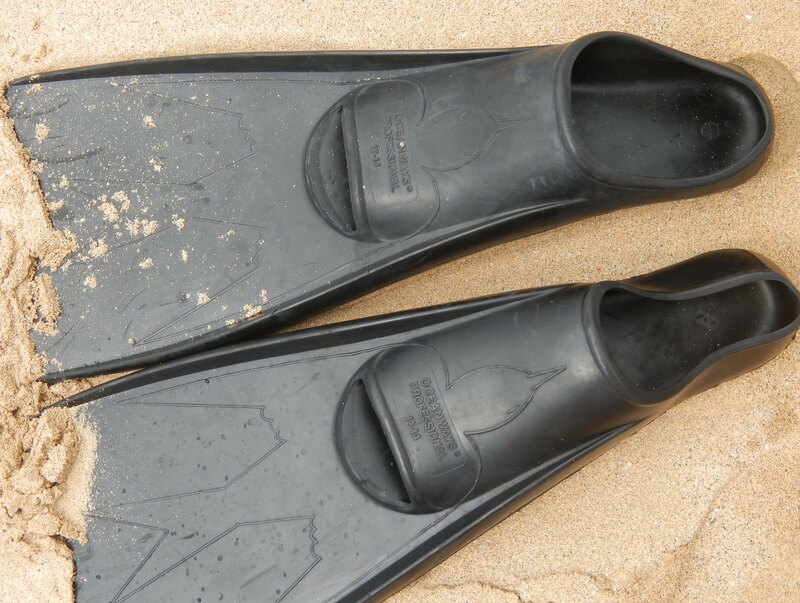 I blew out the snorkel tube, adjusted everything, and continued walking backwards into the water – it was easier than walking forward with the flippers on my feet. Then, about 30 seconds later, another big wave came crashing down, this time lifting me off my feet and pulling me out farther. No bueno. I was having none of that. So with all I could muster, I kicked and splashed my arms, trying to pull myself closer to shore. This wave pool, no matter how calm the waters truthfully were, was not for me. Not when my swimming abilities amounted to Ring Around the Rosie. Yeah, thanks for telling me that now! Back on shore, safe and stripped of my pride – as well as my snorkeling gear – I hopped around the tide pools. 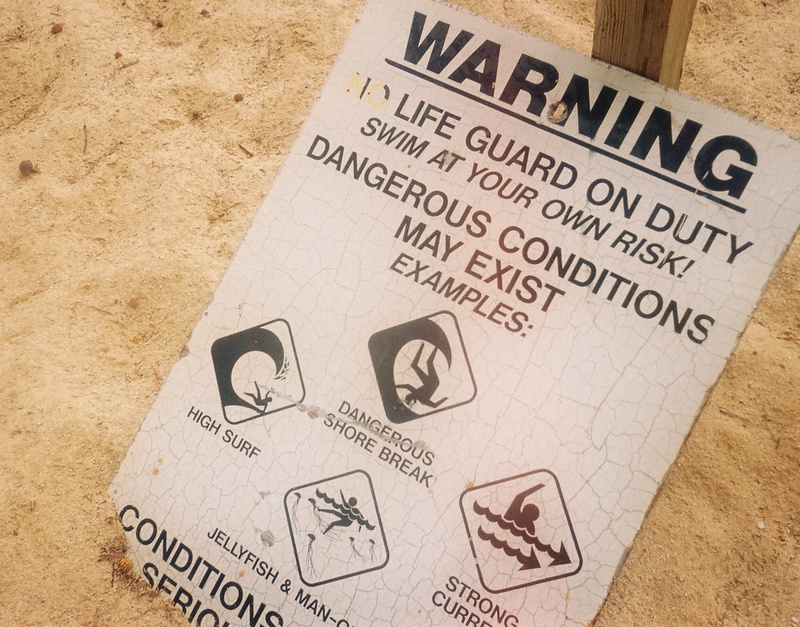 Even though the snorkel guys had warned me to stay away from them, saying they could be dangerous if a wave came in, it felt like a safer option on my Lanai Visitor Bureau trip. And besides, those guys didn’t know the amazing superhuman abilities I possessed while on land wearing sandals. It was so much more than flippers in water. Too bad those superpowers didn’t translate to photographic abilities. Shot after shot in the tide pools turned out to be murky and blurry. 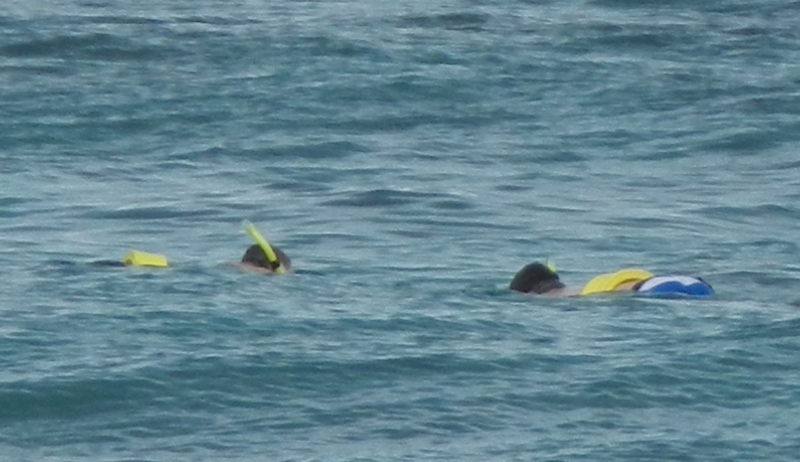 But at least I gave it a try – it being snorkeling – and had a good time down at Lanai’s Hulopo’e Beach Park, albeit more so while tromping around the tie pools. That’s too bad! I’m not a very good swimmer myself and have always gone snorkeling with a life vest. LOL. Good call! I should’ve used a life vest. That woulda worked wonders! Well, I had high hopes to conquer this seemingly simple sport this summer…but now after reading your commentary I’m not so sure. Besides the water temperature of Lake Champlain may not convince me to place anything more than my big toe beneath its murky depths . Sorry to hear that Jason. It is never too late to learn though, have you thought of taking lessons now? To be honest with some strong waves it can be a bit uncomfortable for us swimmers but it won’t knock our confidence. We’d just persevere and manage to deal with the tide. I give you props for trying. Don’t worry, there are enough land based adventures to keep you busy. That’s part of what I sooo love about Hawaii – there are a ton of things to do on land, but if I want to challenge myself and get out of my comfort zone I can still give something like snorkeling a whirl. And if it doesn’t work, I’m none the worse for wear after trying something news.